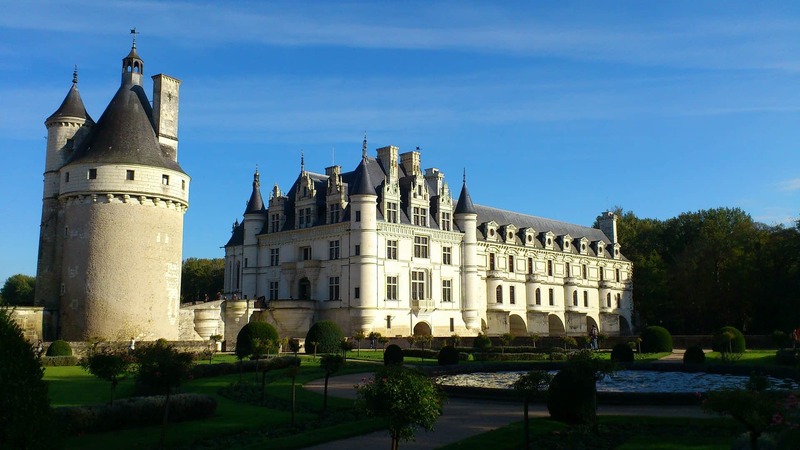 The Loire Valley is dotted with stunning palaces. For over 200 years, France’s kings sought to outdo each other with ever grander building projects. We’ll visit Chenonceau where Henry III, France’s queerest king, hosted epic drag parties. On our travels, we’ll see the resting place of Richard Lionheart, a Roman aqueduct and stunning Renaissance buildings. You’ll learn about France’s royal history. A history that was, of course, abruptly ended by the French Revolution. The ancien régime may have been swept away but while it lasted it did produce some fabulous palaces. Early arrivals will be able to join a walking tour of Blois and see homes dating back to the Renaissance. As Blois was once a royal residence it boasts many elaborate buildings. We’ll have a welcome dinner in the evening. Our cycling adventure begins this morning as we ride through the Loire Valley. You can opt for the traditional route or you can brave the unpaved road. Our hybrid bikes are geared to deal with this kind of terrain. Either way, you’ll end up at our picnic spot in Chaumont. We’ll then cycle to our accommodation in Amboise. Naturally, we’ll sample some of the finest local wines over dinner. This morning we’ll visit Le Clos Luce, the final home of Leonardo Da Vinci. You can see scale models of his famous flying machines. We’ll then visit the pagodas of Chanteloup. 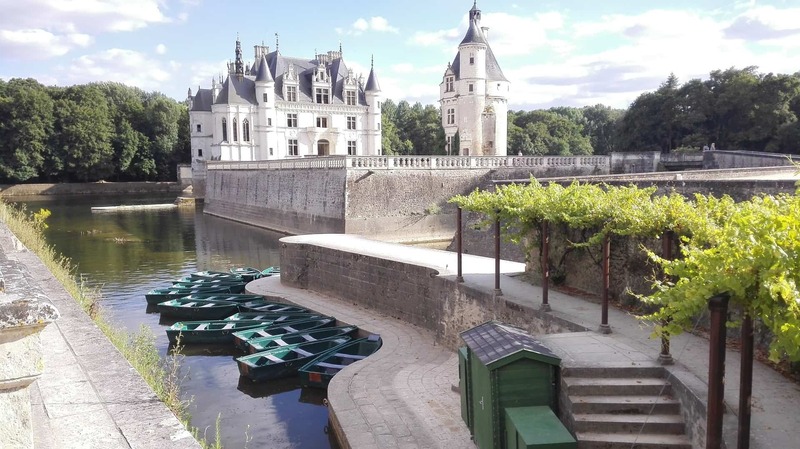 Then, we’ll cycle through the forest to a stunning castle, Chenonceau. It’s a royal residence with a lot of history. Cycling the Loire we’ll arrive at the medieval town of Loire and visit a 1000-year-old fortress. In France’s Valley of the Kings, you’ll see more palaces and chateauxs than anywhere on earth. We’ll visit a 2000-year-old Roman aqueduct. Cycling through pastoral settings we’ll pass small villages and arrive at Montbazon. Here we’ll visit a fortress built by Fulk Nerra, the warlike Count of Anjou. We’ll cycle to Villandry and explore the world-renowned terraced gardens of its chateau. We’ll have pizza cooked in a wood stove in a local brasserie. 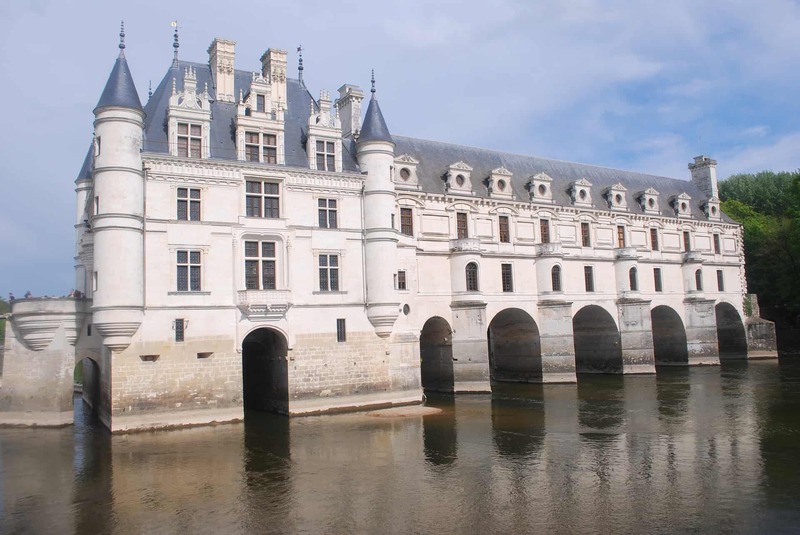 Then, we’ll head downriver to Langeais and explore its renaissance era buildings. Cycling by the Loire we’ll arrive in Chinon where Richard Lionheart died in 1199. Even more famously, this is where Joan of Arc was hailed a “Messenger of God”. You can let your imagination run wild here and imagine what life was like in medieval France. You can stroll at leisure through the forests of Chinon. If you’d like to cycle you can ride to the birthplace of the author Rabelais. You can also visit the abbey of Fontevraud. Richard Lionheart and Eleanor of Aquitaine were buried here. Over at La Herpiniere, you can see a windmill that’s five centuries old. Dinner at a top restaurant in Chinon. It’ll be time to say adieu to your cycling buddies and France – until next time. You’ll be transferred to the airport for your return flight.